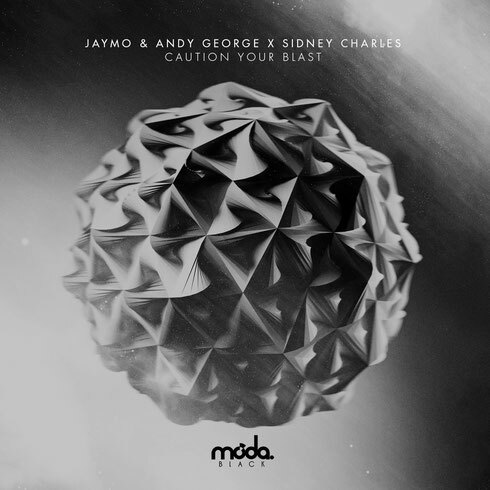 After several months of planning Moda Black front men Jaymo & Andy George and Sidney Charles finally managed to wrap-up their first collaborative EP - the results are a combination of both parties production styles. Raw, driving and full of energy, this is a two track EP aimed at the clubs. ‘Caution Your Blast’ is a stripped back track that sits somewhere between house and techno. Thumping drums provide the rock solid foundations for the frenetic topline and Sidney’s trademark keys. What starts off as subtle and reserved slowly simmers-up into a brooding 4am player. On the flipside, the aptly titled ‘Hip Shots’ hits you right in the waistline. Junky offbeat hats and throbbing subs provide the pulse, whilst vocal cuts and warping FX give the track a hefty dose of basement energy. Another big summer lies ahead for all of the above. J&AG's inaugural Lost Village festival (a weekend party for 5k people in an abandoned woodland village) takes place from today, whilst Sidney is currently gearing up for another summer as a key resident at Tribal Sessions in Ibiza. In June, off-Sonar will play host to the first ever Moda Black x AVOTRE party featuring Sidney Charles, Jaymo & Andy George, Theo Kottis, Sante, Huxley, Darius Syrossian, Ben Pearce, Andhim and J Phlip.